My A-Z Blogging theme is to cover 26 touch-me-not categories of fiction writing. These are frequently the trouble spots which can be useful components of the story if handled properly, but when rushed through, can cause all kinds of trouble. While the genre is fantasy, the tips can apply to anything, from romance to literary fiction. While exploring the ruins of an old castle, Mordekai and his sister Monique accidentally destroy an old tower only to find themselves in a different place, or time, entirely. Then a giant goat crashes through the wall and carries Mordekai off, leaving Monique with the unpredictable Princess Mural. They begin their journey to a nearby abbey while Mordekai is dropped off, quite literally, in the villains’ fortress. Mordekai tried to see the speaker without moving his head, but all he could see around him were goats. Gray ones, white ones, brown ones with spots…all normal sized, thankfully. The only giant seemed to be the one who’d brought him. Mordekai turned his head at that to discover that the speaker was a black goat with brown horns. There was a white blaze, or whatever goats called it, down its face, and a most perturbed expression in its eyes. Mixed with boredom. It was a shock to realize that the goat didn’t care about killing him. He was more of a sideshow than anything else. I don’t suppose it’d help if I did make it clear that I saved the princess. They’d kill me all the same…though perhaps with greater vengeance. Death was death, and an ignominious one wasn’t to be scorned if it meant it’d be relatively quick and painless. And hopefully, Brisbane can make it back to Mural and Monique…and improve the story of how I died a little. If anyone could embellish a death, it’d be Brisbane the Bumblebee. As the goats came towards him, though, he fought back, getting to his feet and kicking toward their faces. He’d lost his sword, but he could still punch, push, and pummel with the best of them, until one of them got past his defenses and rammed him in the stomach. Then, before he could catch his breath, he found himself dragged across the courtyard and held in the air, the giant goat holding him by the scruff of his leather jerkin and half choking him in the process. Great, he thought as he swallowed a gulp of air and tried to find something to hold onto. I’m going to be hung by my own armor. Across the compound, a few goats seemed to be setting up a large crossbow while others fed a bonfire that gave them adequate light against the coming darkness. Since they lacked hands, everything was done with their mouths, including pulling back the string or cord or whatever it was that would fire the arrow. The latter was a mere glint of metal, but he was sure it could kill him all the same. I doubt they’d do anything in half measures. He wondered if it’d pierce his heart or just puncture his body until it bled to death. The very thought brought on a renewed struggle with the goat behind him as he tried to get free, but it was no use. He couldn’t even reach the creature save for a few behind-the-head blows that seemed to hurt him more than his captor. The captain of the goat guards, or whoever he was–Mordekai was sure he couldn’t be Mural’s uncle, no matter how much of a fantasy world he was in–paced the length between him and the crossbow and then called out the distance. Mordekai tried to yell, to distract the archers in any way possible, but they proceeded all the same. Killing off characters is a hugely debatable thing. Some readers prefer a story where the stakes are high and death is a possibility, while others are quite happy to keep everyone around…and would protest if you kill off even one of their favorite side characters, much less the heroes. And then there’s always the question of how permanent a death is, in fantasy (and science fiction). If a character dies, are they truly dead, or can they be resurrected like Gandalf, Sherlock Holmes, or Westley? Personally, I’ve found that if your characters are facing truly evil, capable villains, the fight should cost something. It may not have to cost the life of a character, but it shouldn’t be a case of “everything shall be as it was before,” either. The Shire may be attacked and ravaged by war. 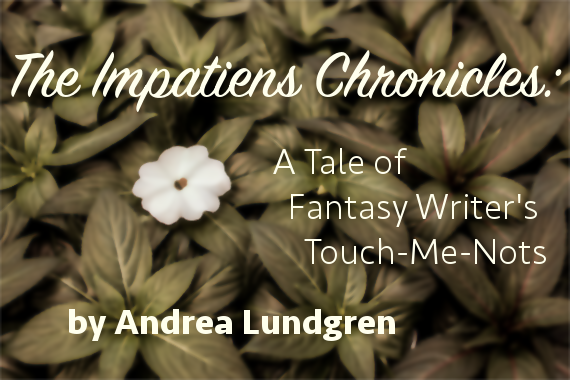 The characters might have scars, losing limbs, fingers, or part of themselves, emotionally. Otherwise, the fight seems less important, because if you can face the worst evil in your world and always beat them, no matter how bad it gets, without any side effects, scarring, or loss, why bother fighting them in the first place? They become nothing more than pesky creatures who threaten awful things and would love to kill you, perhaps, but can never fulfill their evil wishes. (A bit like a evil version of Bowser from the Mario video games, perhaps; no matter how many times he kidnaps Princess Peach, all is well in the end, and she’s fine, and Mario’s fine, and the Kingdom is restored…which fits that kind of a story, but would be out of place in serious fantasy). So if you want your readers to take your villains seriously and truly worry for your characters well-being, make the villains a bit more capable of doing something dreadful that has lasting effects. Sometimes you can overdo it, like George R.R Martin, who positively revels in killing off characters he has made you care about. When a character dies it should mean something. When Boromir dies, he does it saving the hobbits, redeeming himself. When members of the Stark family get killed, it’s “Oh, no, not another one!” Ho hum. But you’re right on not taking the villain seriously if no one dies. That was biggest disappointment I had with the final season of Castle. After all this build-up of the Big, Bad Guy that not even the CIA’s best operatives could catch, a group of NYPD detectives does it without losing one member. Umm, yeah, I don’t think so. Killing a character, especially a main one, is a very serious matter and although I agree with you that characters should lose something in the battle – if it is a true battle – I think that losing their life should be use very carefully and only when absolutely necessary and unavoidable. If you think about it, killing characters is easy. If they are well-loved characters, killing them will be a shock to the reader, who will care deeply and will be moved. It’s a very easy tool to create sympathy and involvement. That’s why I think it should be used carefully. Sometimes, it’s the easiest way to create a connection that can indeed be created in different ways, if with some more work. Personally, I only killed a main character once. Couldn’t avoide it… although when the time came I’d have give anything to save him. Like Shawna, I was devastated. I’m not going to do it again anytime soon. I’ve killed some characters off, though it’s done very judiciously. I knew for a long time one of my secondary characters was going to be executed during the Great Terror in the USSR in 1937, but I wasn’t prepared to become so choked-up and emotional when writing his final scenes in my third Russian historical. He ended up redeeming his obnoxious, self-centered character in the last days of his life, and chose to sacrifice himself to save his elderly parents, adopted daughter, baby sister, and niece from being arrested like he and his other sister were. One character in my Atlantic City books dies very young, leaving behind two small children, and her death leaves a huge wound in her family. She does periodically come back as a ghost, both to help her loved ones and to take revenge on their enemies. I would love to read some of your Russian historical novels. They sound so interesting! Especially when I am writing Romance. The sense of loss is something that glorifies love, I believe.